Heavy snow in western Canada and a week of fresh snowfalls in many northern hemisphere ski areas.. 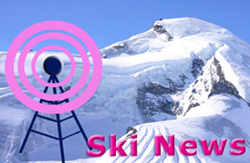 The Alpine World Cup kicked off yesterday in Solden with Chemmy Alcott finishing 19th in the GS. Flip Video cameras - great for getting shots of friends and family on the slopes.